Emily White at Stepping into Fantasy is hosting a genre-bending Fairy Tale Blogfest tomorrow. I am suddenly inspired to join in, even though I have written nothing for it. Whee! 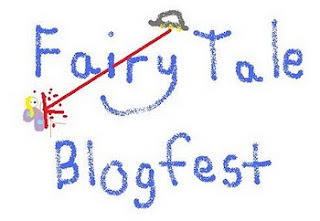 This fest requires only a very short tale, 50 to 1000 words. So while Mr. G is out taking a spin on his bike this morning, I am going to attempt to crank something out to enter. hehe I've already posted mine!! How are you doing? All well with mini G? I'm with you! Mine will be posted in the morning! Tessa: Mini G and I are doing great! I get my ultrasound tomorrow so I can see who's in there.